I spent my twenties absolutely certain that I was immortal. Death just wasn't on the cards. Is it even possible to die before you're thirty? Death was a concept, a temporary setback in a videogame, not a feasible, inevitable eventuality. Death was always marked with the word "later", not "now" or "soon". In the middle of the most hectic and complicated week of his life, Dan was being pulled in five different directions at once. He was already busy with Ten Second Ninja X when life, taxes, and everything else fell on him at the same time. Overwhelmed and running out of time, he absent-mindedly crossed the road, where he was knocked over by a van. He took the wing mirror off and suffered injuries to his arm and leg. Dan was given a wake up call in the form of a very heavy piece of moving metal; a wake up call that could very easily have been the end of his story. He had found his limit. So he continued on his journey to Norwich Gaming Festival and had a swordfight with the team's programmer. Obviously. After a week or so, as the pain got worse, he finally went to the hospital to treat an internal bruise in his knee. I'm sat in the conservatory of Dan's parents house in Maidenhead as he recounts this tale of pressure and stress to me. The sun squeezes and bullies its way through the blinds as we chat with the doors wide open to keep us cool. The birds twitter in the lush, well maintained garden as we talk, and we stop occasionally to shoo out a bluebottle who zips robotically around the microphone, keen to be a second guest on the podcast. The more success you attain, the greater the pressure; Dan has had a very successful early career since earning a BAFTA Breakthrough Brit award at the age of 19 back in 2013. His game Castles In The Sky was BAFTA nominated and he has since gone on to produce Ten Second Ninja. We consider his career so far, in between discussing our fascination with open world game systems. Dan seems simultaneously pleased and dissatisfied with his progress. It's clear that high standards are important to him, and this was part of the rationale behind making Ten Second Ninja's sequel, Ten Second Ninja X. Ten Second Ninja was a vehicle for expanding and testing Dan's coding and design abilities. Essentially, he wanted to make the sort of game he wouldn't usually enjoy playing, to see if he could do it. Following the game's release, he keenly soaked up and accepted the criticisms of the game from press, much of which he agreed with. Armed with this information, he created Ten Second Ninja X, a game he says he genuinely enjoys playing. Now, as he works under the banner of Four Circle Interactive on a new, as yet unannounced title, he seeks to test himself once more, taking on further challenges and greater responsibility with a new game which sounds like it will push a few boundaries. But he won't fully launch into that before releasing Ten Second Ninja X first; one thing at a time. Having had what he calls his "Whiplash moment", referring to a similar occurrence in the film, he is keen not to repeat the situation in the future, and has realised the importance of putting physical and mental health first. That's not to say he isn't still brimming with ambition; we talk privately in more detail about Four Circle's next game, discussing the smart toolmaking of Hello Games and their upcoming game No Man's Sky. It seems like the creation of smarter game making tools and engines may be the way for smaller "indie" companies to close the distance between themselves and their AAA counterparts. If smaller companies can figure out clever ways of creating large amounts of content more efficiently, they could occupy the space in between, reclaiming the lost and much mourned "middle tier" of the PS2 era. 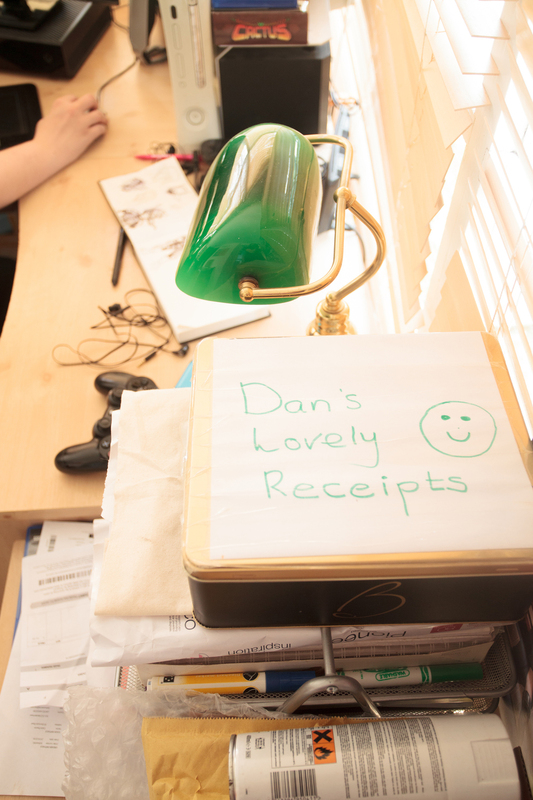 This focus on working smarter seems to be where Dan is heading now. No more flustered, crunch-heavy weeks, filled with 18 hour working days. No more being pulled apart by disparate, muddled responsibilities. Just focused, smart progress. No matter your age, it can do you good to step back for a second and take a good look at things in the eye of the storm. Even as a freelancer supposedly away from the regime of the 9 to 5, I suffer from the workaholic culture society compels us all to subscribe to; a gross badge of dubious honour which glorifies strain and stress. It's a curiously masculine attitude of "get on with it and don't complain" until it all gets on top of you and you can't handle it anymore. As Dan's recent memento mori revealed to him, as we move through life, whatever route we take, we mustn't forget to live.